As the saying goes—if it ain’t broke don’t fix it. Books are a classic print format and, even with their transition into the eBook world, they still look their best when set in one of the following tried-and-tested typefaces. We judged the legibility, beauty, simplicity and variety of weights available of a huge range of fonts, and whittled them down to these faithful five. They’ll never let your typesetting down, guaranteed. 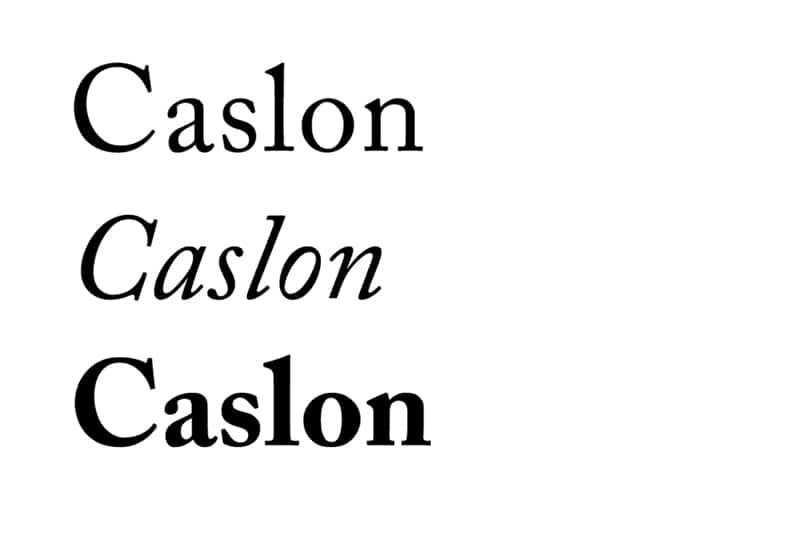 A ‘transitional’ serif typeface, which borrows from its old-style predecessors (like Caslon, see below), Baskerville brings together the best of two worlds—classic and modern. Baskerville is unfailingly elegant and intellectual, but also highly readable when set at small size, which makes it the perfect choice for literary fiction. Find out more about setting your book type at the right size with this helpful guide. Whether it’s a classic Austen re-print or a contemporary teen romance, you want to find a typeface with femininity and elegance in abundance. 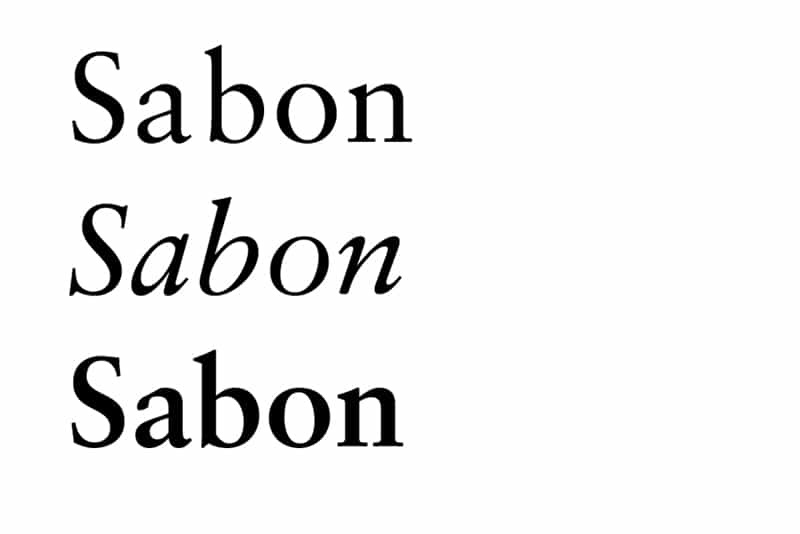 Enter Sabon, a 1960s update on Claude Garamond’s design. This serif is simple and clear, while retaining a definite touch of grown-up romance. You can’t go wrong with setting a romantic epic in Sabon. Used across all kinds of can’t-put-down paperbacks, from Dan Brown to Gillian Flynn, Garamond is a versatile, easy-to-digest classic typeface, which has a neutrality and versatility that makes typesetting with it a breeze. 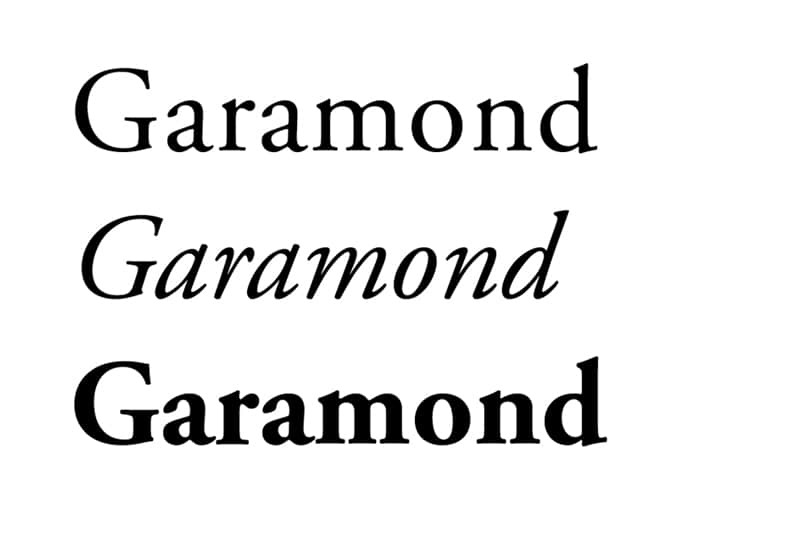 Based on the Roman typefaces of Claude Garamond, the updated version of the typeface, Adobe Garamond Pro, offers six weights. Team with more experimental sans serif chapter headings to add a modern flavour to thrillers and action fiction. The sight of this typeface may, for some, bring back painful memories of sweating over text books in Double Chem, but you can’t deny that Caslon is the perfect choice for academic non-fiction. Set journals, encyclopaedias, text books and articles in Caslon and its subtle seriousness will convince any reader of its intellectual weight. Adobe’s update (Adobe Caslon Pro) adds a touch of modernity and improved digital adaptability, without compromising on the charm of the 18th Century original. For typesetting the newest Richard Dawkins or Jared Diamond, you’ll want a typeface with a broad, approachable appeal. Just as general interest books seek to present factual information or opinion in an accessible format, so your font should strike a balance—not too intellectual, but not too dumbed-down either. 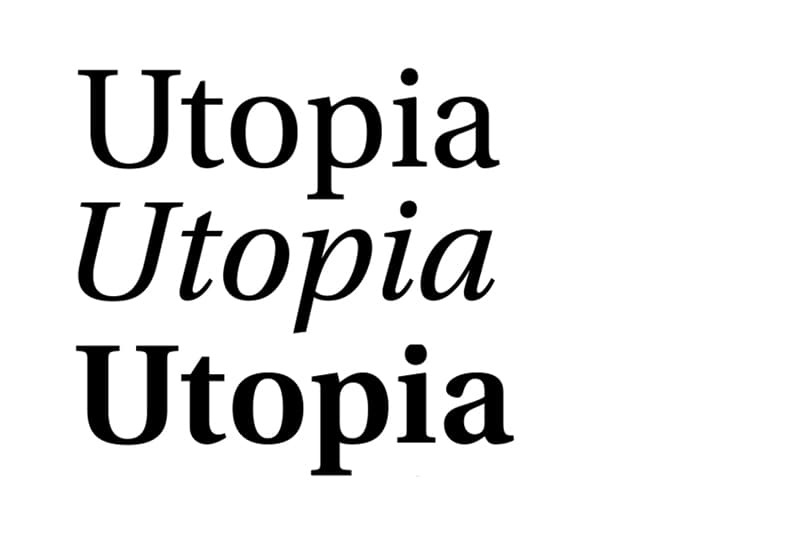 Typesetting devotees will no doubt still turn to a loyal serif for the task, and Utopia strikes the balance perfectly. Wondering if you should go for 8, 10 or 10.5? Find out the perfect font size for typesetting the inside pages of books. Make your pages legible and beautiful with the right font size. Now you’ve got your fonts ready, you can get started with creating a book in InDesign, and work out the perfect font sizes for your design.